Homepage / Kids/Baby / How do Babies Breathe in Utero? 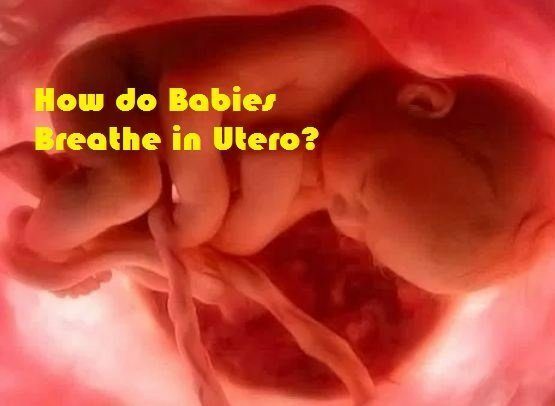 How do Babies Breathe in Utero? How do Babies Breathe in Utero – The baby does not actually breathe in the womb – at least not in the usual sense. He gets all the oxygen necessary for the functions of your body through the placenta and umbilical cord, ie the oxygen reaches the mothers blood. This process has been known as fetal circulation, where blood circulates from the heart to the lungs, then out of the body. The filter capillaries cord oxygen coming from the mothers body to the body of the fetus and baby filtered blood carbon dioxide to the mothers bloodstream. The blood that is oxygenated from the mothers body goes to the heart of the fetus and then is distributed to the whole body. This process provides all the oxygen that the baby needs. In the womb, the baby needs less oxygen to survive and all his breath depends on the mothers breathing. During birth, several processes occur at the same time and end with babys breath through your lungs. By cutting the umbilical cord, placenta flow is interrupted. Oxygen levels in the blood, of course, fall rapidly, while carbon dioxide levels increase enough. With the birth, the heart is stimulated to start functioning properly, the lungs expand air enters the lungs. The first breath process is painful and crying is an important sign that the lungs and the whole air circulation are working well and that the newborn is breathing properly.